I’m hoping the March showers will bring April flowers here in Lower Alabama. 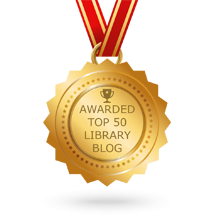 In the meantime, here’s some links to an article on relationships, the great global nonfiction versus fiction debate, and links for amputees, poets, and librarians. This month is Limb Loss Awareness Month. (#LLAM) The Amputee Coalition of America’s National Limb Loss Resource Center is a great place to find information for anyone with limb loss, from born amputees like me, to those recovering from amputation surgery. “Friendship, empathy, forgiveness, funniness, and affection are a few important things,” I posted. About a week later, I read the article below. No matter the relationship, I think understanding one another is profoundly difficult and infinitely more challenging to sustain. The next storm that crossed my path is the relationship readers and writers navigate between fiction and nonfiction. This global multilingual discussion will have you wondering about the origins of the word nonfiction and questioning the meaning of story. Since it’s also National Poetry Month, I’ve included a link to an article that I netted for a library school assignment about Charles Bukowski. It’s not his poetry at the other side of the link below. A well-written (if a bit raunchy) profile from a 1976 Rolling Stone magazine interview has motivated me to go and read some Bukowski this April. Don’t forget, next week (April 10-16) is National Library Week, so visit your library, online (Fairhope Public Library) or in-person, to learn how Libraries Transform. Do you know Annie Easley? On Saturday, I had a high school student come up to the reference desk with her mom. Do you know Annie Easley? If you do, I’m impressed. I have never heard of her. So we went to the OPAC, or Online Public Access Catalog and typed in the name. “I found some things on the internet, but I need a book source,” she told me. So I asked the student, who I will call J, what she had already found out about her. Easley was a scientist, and a mathematician. “Follow me,” I said, confident that I could find a reference book with her name in it. I pulled some subject encyclopedias on science, and women in science. Nothing. Bound and determined to find J. some print on paper, I conducted my reference interview, then grabbed some sources. J and I scanned and skimmed alphabetical entries and indexes. Still nothing. I learned more about Easley along the way, interviewing J about how she learned about Easley. J was African American, and so was Easley, and it’s February (African American History month), but she was not on a teacher’s list of people to research. Easley was also born in Birmingham, Alabama. Earlier in the day, I had messaged a fellow student about what librarians without a master’s degree are called. I was a feral librarian rabidly interested in finding a book source for this shy, yet curious young student. “They called her the Human Calculator,” J said, and added that Easley worked for NASA. Doesn’t she sound like a woman who should be in book about mathematicians and scientists? I told J, her mom, and now her younger brother, who had joined our tour of reference, that I just learned about this new documentary called, Code: Debugging the Gender Gap. This documentary shows the large gender and minority gap in the world of science, specifically, computer science. Sadly, our collection was helping prove their argument and this student had done her homework. She knew Easley’s middle initial, “J.” I learned later that Easley actually developed code for NASA. Walking back to the catalog I asked J to check the general encyclopedias. She confirmed my initial doubt and there was no mention of her in Worldbook, or Encyclopedia Britannica. “Who is this lady?” J’s little brother now wanted to know, as we grabbed two more books from the stacks. From then on, he joined us in our search. J’s dad came by, and seeing the stack of books, suggested to his daughter that maybe she needed to find another person. She was thumbing through a book, and looked over at him. I could tell she was ready to give up. “I’m sorry,” I said, frustrated and angry that I could not find a print source for her. This young woman had found a person, an African American like herself and a mathematician, programmer, and NASA employee and my resources failed. The whole family and I went back to the computer and found Easley’s Wikipedia page. 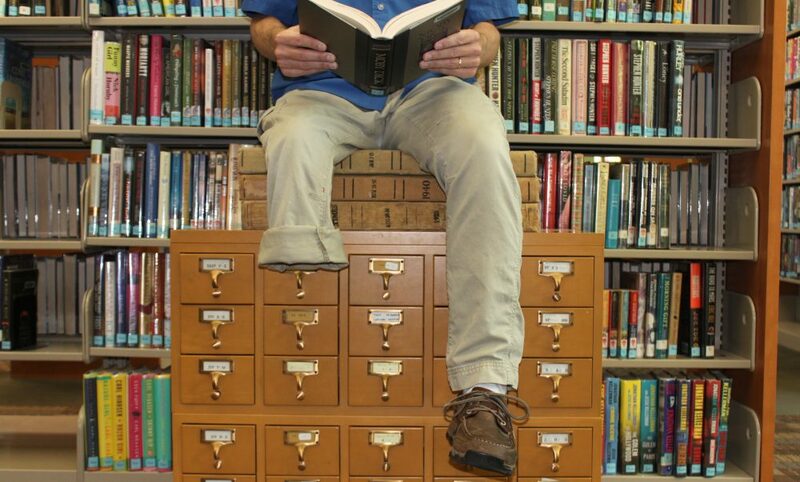 “You stumped the librarian today,” I told them, and was disappointed I did not have a book sources. J knew about Alabama Virtual Library, but she hadn’t looked at Wikipedia’s sources. Easley’s Wikipedia page linked to a 55 page PDF from NASA’s “Herstory” Oral history project. The document was the transcript of an interview with Easley about her life. “That’s better than a book,” I said pointing at the screen, That’s a primary document. This is her own words.” J, and everyone in her family, thanked me. Her dad shook my hand. As they headed to circulation to check out some items, I realized that Wikipedia, libraries, and librarians do not compete. They compliment. It happened February 13, 2016 at 6:23 Eastern Standard Time. In my second semester of online library school at the University of Alabama. I was reading Reference and Information Services: An Introduction by Kay Ann Cassell and Uma Hiremath (2013). 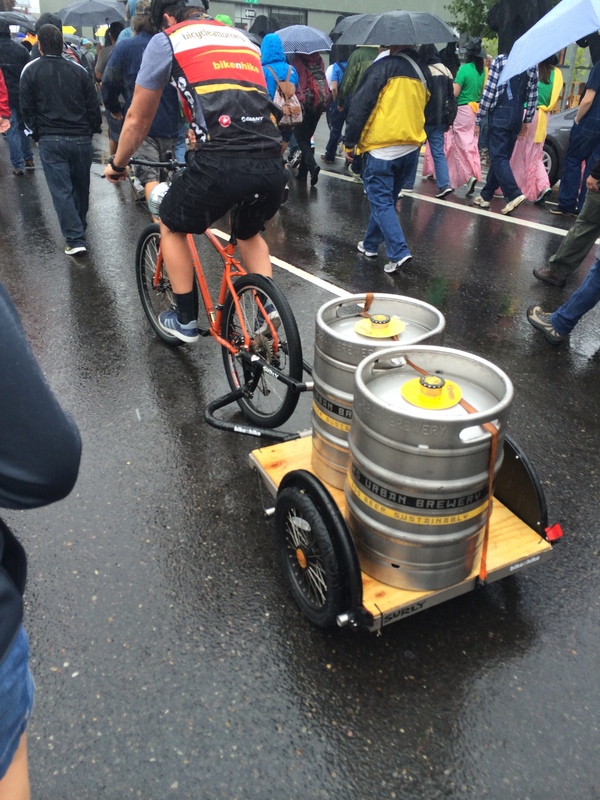 What’s a Bikes, Beer, and Airbnb Travelogue? I recently learned that I was not selected to write a beverage column for a local publication. However, as the “close runner-up,” I wanted to post the sample column, and include a few photos, for my blog readers. It’s also a great tie in for my upcoming library program about last year’s vacations to Oregon and Asheville, North Carolina. Come to the Fairhope Public Library at 2 PM, on January 29th to see pictures, hear stories, and learn about my airbnb experience. Although we will not be doing any Day Drinking, I’ll be giving away some souvenirs during and after the program. On Christmas, I was pouring tastes and offering pulls from my bottle of Lucky Buddha, a beer my brother Mark brought for the festivities. As I took a sip of “Enlightened Beer,” I pondered. Then I began to count my 2014 blessings. It really was a year of magical drinking. 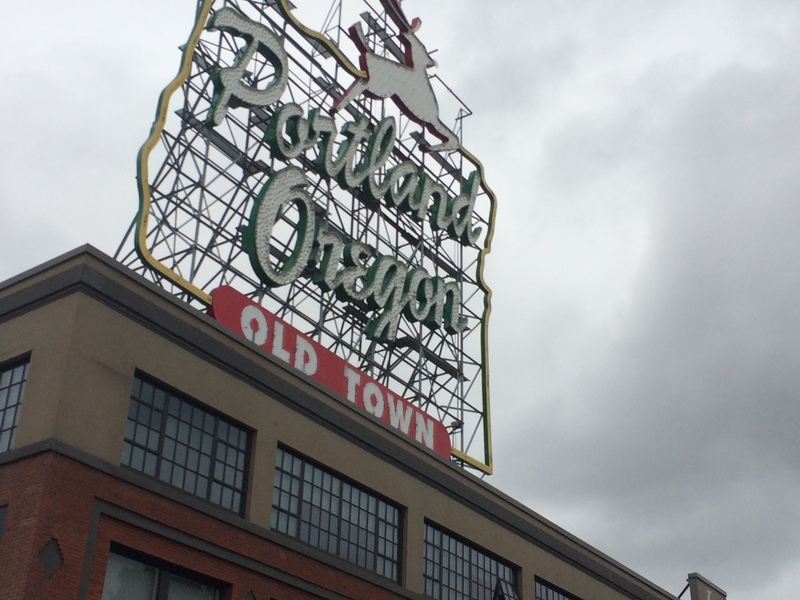 Ten days of vacation in a walkable, bike-able city like Portland is pure bliss. And that’s before we even had anything to drink. Portland’s called Beervana for a reason. We were within walking distance, less than a mile, to about ten breweries/tap rooms, six distilleries and a few micro coffee roasters. I’ve written about Oregon before, but here are a few places not to miss. Base Camp has great beer and the best water dispenser. The water line empties into a keg that’s hanging on the wall and you tap your own water. Cascade Brewing is a sours only brewery. These tart barrel aged beers use wild yeasts from the air, or left behind in aging barrels to help ferment the beer. The wild yeasts are unpredictable, and time consuming as many sours can take up to two years from barrel to bottle. So many beers, so little space. Here’s my list of favorites with brewery, style, and a few choice words. Anderson Valley, Summer Solstice, summer cream ale, Not your Father’s. Boulder Brewing, Shake, Chocolate Porter, You can taste the cacao. 21st Amendment Brewery, Hell or High Watermelon, Wheat, a picnic in a glass. As we were leaving someone was handing out samples of hop soda. The Proper Soda Company makes a crisp, refreshing, and thirst-quenching soda, and it’s made with cane sugar and hop extracts. Where would a congenital below-knee amputee like me, go to get coffee around Portland? Why Stumptown, of course. It was summer so I ordered an iced coffee, but this is Portland, where they’ve melded coffee and beer brewing techniques together. Stumptown’s cold brewed iced coffee is infused with nitrogen. Susan and I left the city for the valley and stopped at the Sokol Blosser Winery. After sampling some very fine wines, bought a bottle of the 2013 Willamette Valley Pinot Gris, made in the Alsatian style with rich and spicy tropical fruits with hints of fig and grapefruit. We intended to take it home but on July 26, after a day of whale sightings and lighthouse climbing, we opened it on our balcony and watched the sun sink into the Pacific. Take a detour to Rogue Farms. There’s something special about seeing the hops budding and being near the ingredients that make it into my pint glass. Henry the VIII deemed hops “a wicked and pernicious weed,” when brewers began adding it to beer. The beers at Wicked Weed are amazing, full of hops and yet delicate as flowers. They have managed to fuse bitter hops with the grace of grains to create a complex medley of balanced brews. From floral aromas and drinkable session IPAs like “Feral,” to their dank, hoppy beast, “Freak of Nature,” a double IPA, the beers at Wicked Weed do not disappoint. Do you know how fabulous it is to find a list of craft beers on tap at a concert venue? Asheville lives up to it’s nickname, Beer City, USA. The Green Man Porter was delicious, especially while singing and dancing, (well grooving) along to “Time of the Season,” by The Zombies, at The Orange Peel. On a trip to Birmingham (for the Y’all Connect Social Media Conference) I had time to visit the good people, at Good People Brewing. I sat at the bar and enjoyed my first Oatmeal Stout. What’s better than a brewery and tap room? A brewery and tap room with the best BBQ two doors down. That along with some fine beers is what Avondale Brewing has got going on, especially with their saison. We ordered up some Saw’s Soul Kitchen and brought it back to the taproom. Trunks Up! My sister Laurie was in town around the Fourth of July. Six of us piled into a Suburban to watch the Blue Angels air show over Pensacola Beach. I only had my five toes in the sand, but it was a hot day! For a tiny moment, a grain of sand in the hourglass of eternity, a Pepsi “made with real sugar” quenched my thirst. 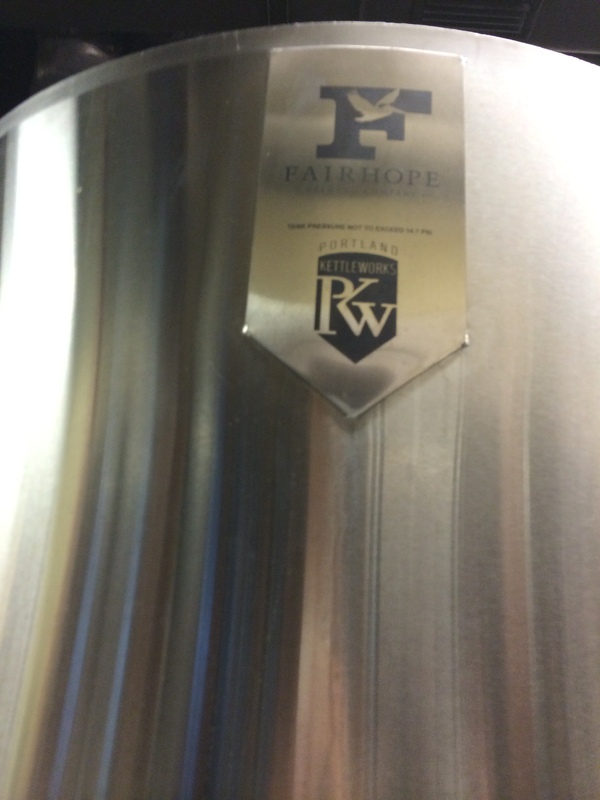 As the winning bidder for an Alabama Coastal Foundation Fundraiser, a group of us had a personal tour of Fairhope Brewing (celebrating their 2nd anniversary this weekend) from Head Brewer Dan Murphy. We were an inquisitive bunch and I seem to remember him saying something along the lines of it being one of the better tours he had given at the brewery. Dan walked us through the naming of each beer while talking up the tasting profiles of each ale. He gave us the scoop when he announced that the brewery was expanding their production and then showed us what was in store for the future. He had obtained several wine barrels to begin experimenting with sours. The bottle of Lucky Buddha was returned to me, alas, empty. Never one to let his little brother down, my brother Steve went to the fridge and poured me a glass of Blue Pants Chocolate Oatmeal Porter. I can’t wait to sip what the future holds.